PeoplePerHour is a freelance job marketplace that connects people in need of services with curated freelance talent for remote work, starting at 1 hour jobs and up. If you need business support, marketing help, web development, software programming, design, writing, or translation services, PeoplePerHour can give you access to a community of freelance workers who will work for you remotely at the click of a button. Plus, if you have services to provide, you can sell yourself via the PeoplePerHour freelance marketplace to make some extra income on the side. Additionally, the PeoplePerHour Referral Program provides new users with a 5% discount voucher to use toward your first freelance job purchase, and current users can earn a $45 credit for each new user that you refer to PeoplePerHour. Just click on this PeoplePerHour 5% Discount Code Link to get a 5% discount voucher toward your first job purchase on PeoplePerHour. The 5% discount voucher is good toward your first services purchased on PeoplePerHour. The 5% discount will be automatically applied to your new account when you join via a referral link (please note that the 5% discount is not displayed on the landing page, but it will be applied to your new account). This offer is for new PeoplePerHour customers only who sign up via another user’s referral link. Anybody can create a free PeoplePerHour account to participate in the referral program, just as long as you maintain an active account. 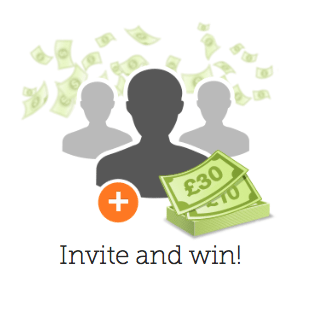 You will earn $45 each time that you invite a friend and they start their first project on PeoplePerHour. In order to qualify for the referral bonuses, the referred new user should have received and paid invoices within 730 days from registration of at least $75 (or €70 or £50). Your friend will get a 5% discount voucher too, so it’s a win-win situations for everybody. You can share PeoplePerHour via email, social media, and by posting your own unique referral link wherever you like. The $45 (or €40 or £30) bonus will be deposited directly into your PPH Wallet balance, which will be for the exclusive use of purchasing services on PeoplePerHour. The $45 bonuses are not available for withdrawal from PeoplePerHour, so you can only use them to buy other freelance services. To participate in the referral program, you must have an active user account on PeoplePerHour, although they don’t specifically indicate what defines an “active” account. Payments from the referee to the referrer as well as from the referee to other user accounts that got referred by the sam referrer are excluded from this billing calculation. Please feel free to share your PeoplePerHour referral links in the comments below this article. You may also be interested in a Free Gig from Fiverr, another similar job exchange marketplace, or these Freelance Blogging Jobs that can help you earn some extra money. Use PeoplePerHour to get freelance work performed remotely whenever you may need it.